The harbour in Barcelona isn't perhaps the most attractive in the world, but the adjacent promenade and beach if nothing else, shows to good effect the hardiness of the natives. I felt quite chilly as we strolled along, but the beach was rather busy with Catalan sunbathers. Good for them. Near the end of this walk is the harbour with many shiny yachts and just around the corner, down a very anonymous side street is perhaps one of the finest of Barcelona's many - and I mean very many - tapas bars, El Vaso De Oro. Our first attempt to enter was thwarted by the simple fact that it was so full that we couldn't get in. It was late lunch and the place was so rammed that all we could see was an array of backs accompanied by the very jolly buzz of people having a great time. Disappointing, but it bode well for later. We weren't going to give up that easily. A quick wander round the back streets later and one large glass of Estrella better off, we returned. It was busy but we found four seats at the bar. Game on. This is a very narrow bar served by two doors, one at the end and one in the middle. The space between the wall and the bar is just wide enough for a row of high backed chairs and enough room for a skinny type to manoeuvre the resulting two feet or so. It can be done as we observed, but only with goodwill and a lot of wriggling from both sides. I wouldn't like to give it a go myself mind. At each end the bar widens out enough to allow a few tables, but the bar is the prized spot. The waiters are known for their hard work and good humour and their rather ragged singing and whistling, but they are certainly a cheery lot and the atmosphere as they josh with locals and visitors alike is wonderful. It was a sheer pleasure just to sit there and take it all in. At the bar there is the usual array of Spanish tapas and there is a wider menu available too with the steak and foie gras, a much sought after delicacy, both for its succulence and reasonable prices. Apparently they used to brew their own beer here, but now the beer comes from Cerveza Fort and as far as I could tell, was all that was offered. The waiter happily described the beers to us and we ordered small glasses of porter for me and American Pale Ale for our friends. E had the pilsner which she didn't like much, but actually on reflection, it may have been the Summer Ale. The American Pale was very highly thought of, but it was me that hit pay dirt. The porter was a revelation. It was jet black, toasty and roasty with a gorgeous mouthfeel from the oats. This was a seriously good beer. 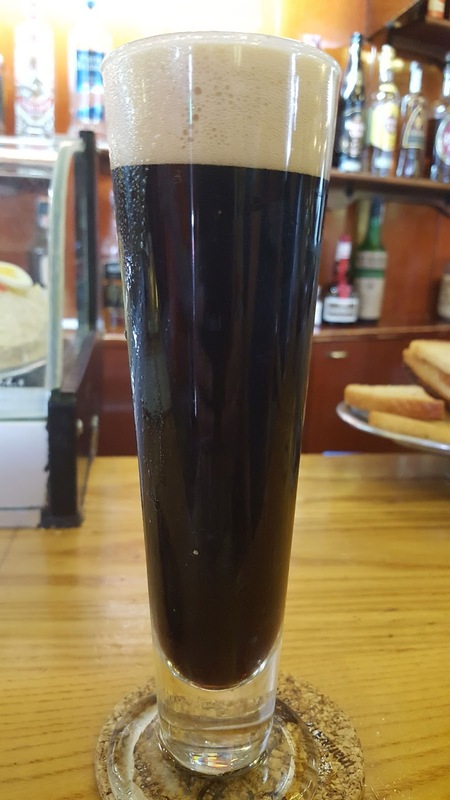 My next order was for a bigger glass and a portion of Spanish Black pudding which was a perfect match. 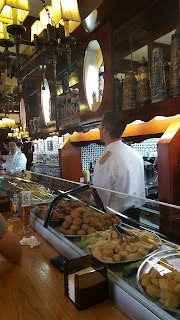 A couple more rounds ensued as we watched the waiters run up and down and people come and go, shouting banter, calling to the kitchen, serving up plates of tapas and generally enjoying their work. It was certainly the best establishment that I had a drink in during my trip and I had to be dragged out. If in Barcelona, go there. The reason I allowed myself to be dragged out was our appointment at Edge Brewing later that day - See previous post. Fresh beer is the thing and that is good. Just round the corner from our hotel in Poblenou Barcelona, along a lovely tree lined street, we tumbled out of the restaurant we were eating in around 1a.m. and decided, as you do, that a nightcap was required. It was early season and most places were closing, but one bar was still going like a fair - well it had people in it and wasn't closing, so near enough. Inside we ordered beers, noting that the brewer was Mahou who are in fact the owners of San Miguel and Alhambra. Spain, like everywhere else these days has a rather concentrated brewing industry. (Despite many thinking otherwise, the Philippines end of the San Mig operation was bought out by Mahou in 1970.) The group is 100% a Spanish company. As we sipped our beer we noted (eventually) that above us in the ceiling, were two large yellow tanks. Yes, we had Tankovna Mahou. It didn't really impress, but then again, it was most likely a drink that wasn't really needed, so unlikely too really. But it didn't taste that much different to those I drank in Gaucin last year..
We returned two nights later in similar circumstances, but glasses of vino blanco were ordered. Probably a good decision. 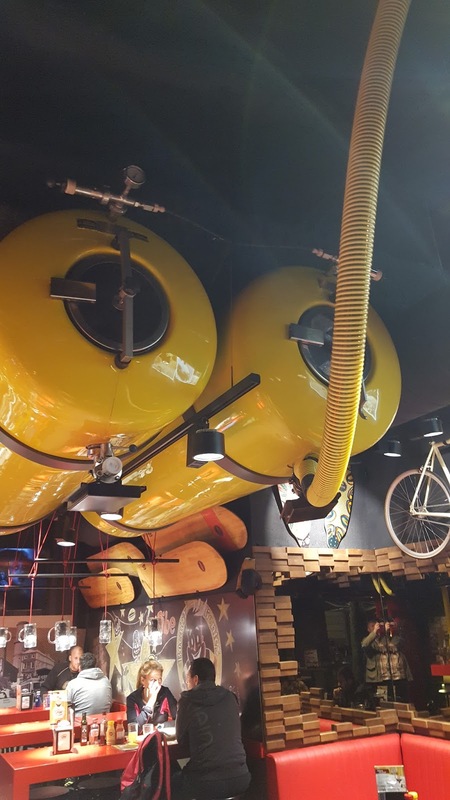 They used to hide tank beer in the cellar in the UK. Now the are a feature. Progress? Almost certainly. 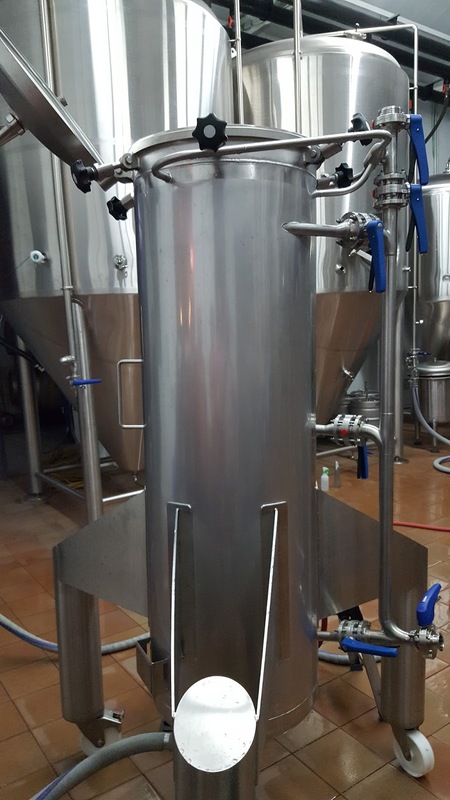 In Barcelona, new breweries are getting kind of thick on the ground, but one of the biggest and best equipped is Edge Brewing, which just happened to be on the same (very long) street as our hotel, so being well prepared we - well one of our friends - arranged a visit. Also attending were some sundry Swedes, a small number of Scots including a very young brewer from Stewart Brewing in Edinburgh and a lone Geordie. The brewery itself is set in a very anonymous building in, the part in which the brewery is located at least, a very anonymous street. But once inside it is all somewhat different. It's industrial heritage is clear, but it has been put to sensible use with a warehouse and cold room at the front and behind, a tasting room and the brewery itself protected behind a glass wall. It is a veritable cathedral (well more a church) of stainless steel, which, at the time of our visit was being obsessively cleaned. They take great care of such things here. The brewery was immaculate and has rather a good back story, having been designed, built and shipped from the USA, together with its American owners. This is very much an American brewery, transposed to Catalonia. Our tasting session consisted of around 20cl of six different beers (it is usually four) but in my usual feckless way, I neglected to write them down as I was enjoying talking about them to my friends and the tour guide. This is I admit a bad habit for a beer writer, but then again I was out to enjoy myself, so hey ho, sorry if my memories are a little hazy. First up was a hefe-weizen which had been "improved" in its refreshingness - is that a word? - by the addition of lime - which I personally found a little overdone, but I can see how, on a hot Barcelona day, you'd gulp one down. A saison was next but with little saison character to speak of, with an odd "Old English Spangles" taste (you need to be old to remember them). The main characteristics were mint, pear drop, aniseed and treacle. Not at all unpleasant, but I feel it needed more work to bring it into style. We all liked Hoptimista a lot better. Described as an American IPA, it ticked most of the boxes with pine resin, caramel and a good bitter finish. I could have drunk a pint of that one even at 6.6%. We followed these up with an amber ale with oats, honey and oranges which was pretty good, American Rye Pale Ale and a Porter with vanilla. Well I think we did - not that I was drunk on 3 x 20cl - but because I didn't write it down. We also were given as a treat, an experimental beer which should stay just as that. Nobody liked it much at all. 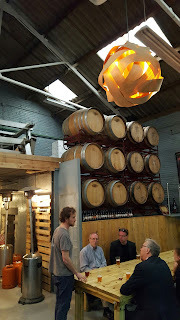 The brewery tour, which split the tasting into two, was interesting just to see how they worked. 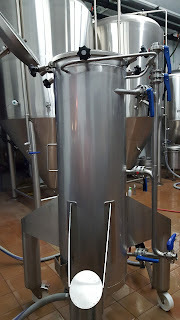 They even have one of these giant hop gun thingies that batter hops into the beer, though really you couldn't tell from the ones the ones we had. The brewery produces a large number of styles and looking though them, there are many I'd rather have tried than the ones we did, but that's just the luck of the draw. You get what you are given and certainly none of the beers, the experimental one apart, were bad by any means, but none really stood out either, though as always, it is the joy of talking to beer people about beer that really gave me the most pleasure. Of equal interest to me is that around 90% of Edge Brewery's production is sent overseas, mostly to Scandinavia and the USA. Yes American brewers in Spain sell a lot of their beer back to America where they mimic the styles produced there. That's an odd juxtaposition, but explained by the fact that the market for craft beer in Barcelona while growing, is tiny. It seems export is the only way to keep it all on the rails in the hope of a more widespread Spanish craft beer breakthrough and to repay the cost of the operation. Somewhat "coals to Newcastle" you might think and you'd be right. At the end of the day this is a good brewery, with interesting beer, ambition, great kit and branding, produced by nice beery people. It was a good evening out. It is also of note that Edge Brewing was named the top new brewer in the world, as well as top brewer in Spain in 2014. Hoptimista, part of the Edge core line up, was also voted a top 50 new beer in the world out of 60,000 beers. Edge also have barrel aged beer. Seems somewhat de rigeur these days.The top photo show the Hop Blaster. Tempting though it has been, I have refrained until now from writing about CAMRA's Revitalisation Project, but having read yet another treatise on the subject, I though I might as well chip in what I think. I'm not exactly an insider, you'll find that CAMRA has quite a few layers of influence above me, but I do know how many beans make five real ale wise and to some extent CAMRA wise, so here goes. Firstly, what has prompted this consultation exercise? Is it internal pressure to change? No, it is very largely external, but there is one vital change that has prompted this. It isn't the fanciful idea that CAMRA is frit about craft beer - though there is a perception that's the case - or that there is a membership concern about our lack of support for craft keg - there isn't - and of course many of our members supplement their drinking by having the odd craft beer or three. Crikey, even I drink lager and craft beer from time to time and apart from a small minority, I reckon most CAMRA members do. It can't really be a hatred of keg then surely? Or non real ale - I repeat our members by and large drink it. So what is behind it? My perception is that the answer, at least in part, is that we have a new Chief Executive (Tim Page) that wants to look at the Campaign with fresh eyes and ensure that under his tenure that CAMRA is doing the right thing, that it is taking its members with it and is fit for purpose. Ah these words. Some may recall that I was involved in the last review, the Fit for Purpose Review and I was pleased that Tim mentioned, when he spoke to me in Liverpool this weekend, that he had thoroughly read the Fit for Purpose Review document and its recommendations on taking up appointment and that he saw the Revitalisation Project as very much an extension of the work of that committee, of which I was a member. 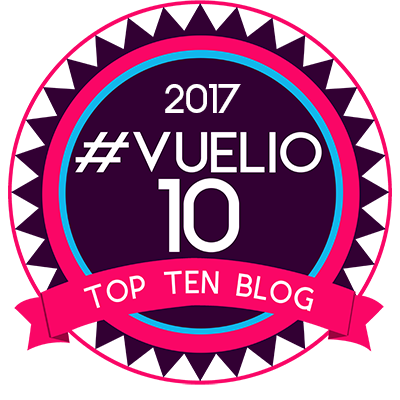 Bloggers have been banging on about this for a bit, but here's a thing. By and large they don't really influence anyone but other beer bloggers and fellow travellers - aka readers. Most CAMRA members aren't blog readers. Hell, I'm sure most of my 1800 CAMRA members have never read my blog despite me banging on about it from time to time. In short, we don't really matter and the pressure exerted by most of us, no matter how well written or closely argued, can safely be ignored. CAMRA needs to set its own course and it is the members that are most important here and to whom this review is really addressed. Ultimately they will decide. It is their campaign, but that isn't to say that blogs haven't generated some interesting stuff. They have, but reading through some of the blogs on this subject, I am struck repeatedly that most people, CAMRA members or not, seem to lack any real insight into why most people within CAMRA don't just see the light and campaign for all beer. A Campaign for Good Beer if you like. The answer isn't all that complex. It is simply that on the whole, by preference, they drink and support real ale, like it better and are worried that it will disappear without CAMRA. "At its core CAMRA is a single-issue campaign – and, despite how specific it is, ‘real ale’ is the best way to give that single issue a focus. But it’s a campaign, not a cult. What we want, if we’re members of CAMRA, is more, widely-available, good-quality real ale. That’s probably also going to be reflected in what we drink, given the choice – but if we do range more widely, frankly that’s nobody’s business but ours." Ed wrote: A common criticism of CAMRA is that it was a big mistake to focus on dispense method rather than beer quality. On this, like so many other things, the critics are wrong. By tying their definition of real ale to cask conditioning CAMRA made real ale easily recognisable in any pub in which it is served: just look for the hand pumps. This has served well as an indicator of what to drink in a pub for decades now, and continues to do so today. No specialist knowledge is required, and people with only the faintest interest in beer nerdery can easily pick out the real ales. He went on to say, tellingly: "Craft beer on the other hand is in a horrible mess already. In Britain attempts at defining craft beer have been even less successful, and many beer geeks have had to settle for "I know it when I see it", which I'm sure if of great help to the average beer drinker. In a local supermarket craft beer is now another ill defined category like world lager." Chip in with that most pernicious and incorrect of arguments: "Personally, we think the battle over cask-conditioned beer has been won — most people who want a pint of cask ale in decent condition know where to find one, and the situation is better than that in many parts of the country." This is the old CAMRA has done its job argument. It hasn't. Real ale is not in as much danger as it was for sure, but the continuance of real ale requires eternal vigilance. Paul Spearman writing a comment on Zythophile's Blog wrote a very good counter to that notion here and as I’ve argued elsewhere, all the pressure for change within CAMRA is external. I detect little real wish within, other than tweaking around the edges. And the battle for real ale is never won. We are just at a fairly high point in the war. Quality is still the key at both the brewing and dispense end of things and we still haven't got this remotely right. Is taken with a notion expressed on Boak and Bailey's blog:" I was also much struck by this comment by Ian H on Boak & Bailey’s blog: "CAMRA is a people-powered cultural heritage organisation in all but name. Traditional drinking culture is what links real ale, real cider/perry, historic pub interiors and community pubs. Embrace it! By all means show craft more respect (the same respect shown to Belgian beers and quality German and Czech lagers, for instance), but don’t water down the central purpose of CAMRA. He is right to be so taken. The link Ian outlines between the various strands of CAMRA is neatly summed up and gathered into a cohesive whole as written above. Maybe, just maybe, CAMRA isn't nearly as far off the mark in its current campaigning as some allege. CAMRA started out as a single focus organisation, but has acquired many more bits and pieces as it went along. But it has never really lost that single focus and that's what gets on the nerves of those outside that say we should change. Most members say no such thing. It is focus that brings relevance and I am pretty sure that most CAMRA members will see it that way. The Campaign is its members and if the members want to continue that single focus that's just what we'll do. It is also worth pointing out that with nearly 180,000 members, CAMRA isn't going anywhere soon and members provide relevance by their sheer weight of numbers. Focus on what you can identify, define and defend and you will gain followers. A woolly message doesn't do that. It is the single focus that has made CAMRA the organisation that it is. To change it might be suicidal. To paraphrase Mao about the French Revolution "It is too early to judge whether that single focus has worked or not! Now of course my critics will say I have just chosen quotes to suit my own stance. Well too true I have, because they actually make sense. While it is certainly wise for CAMRA to review its activities from time to time and make adjustments - and I have been involved in the making of a few of them - but it is too glib to simply say CAMRA should campaign for all types of good beer. What is good beer? Define it. My best attempt will be "Beer I like" but if you include beer most people like - and why wouldn't you? - we'll have to include the most popular beers in the UK. Those are massed produced lagers. Unless you drink basic commodity lager, in the UK, you are a minority drinker. We shouldn't overlook that. "All the pressure for change within CAMRA is external. I detect little real wish within, other than tweaking around the edges. I personally want to move CAMRA to be more concerned about the quality of real ale at the point of dispense and to protect traditional pubs and, yes cask conditioned beer. We shouldn't worry about the rest too much. And the battle for real ale is never won. We are just at a fairly high point in the war. Quality is still the key at both the brewing and dispense end of things." So we carry on and if we eventually disappear up our own arseholes as we all die out, so be it. I've enjoyed the ride and so have most of our members. Now of course it may not all pan out this way, but I reckon I won't be far off the mark. There is a possibility that the campaign may change in a way that will cause it to implode. What won't happen I'll bet, is that we become a Campaign for Good Beer. It isn't what the members want and in a members organisation, if you don't take your members with you, then you are scuppered. And I repeat. Most CAMRA members drink all kinds of beer, but they campaign for real ale. As always, the clue is in the name. 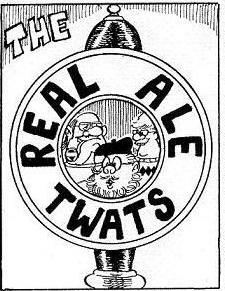 Should a major change take place, I imagine that a much weaker campaign for real ale would emerge. So maybe CAMRA is in a bit more of a cleft stick than Tim Page realises.